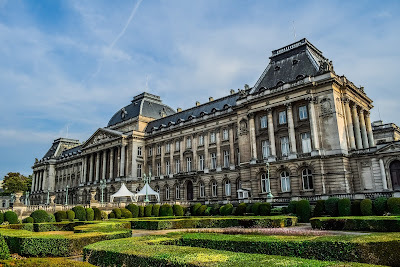 The work palace of the Belgian Royal family is built on the foundations of the Court of the Dukes of Brabant that was destroyed by a fire in 1731. The construction started in 1820 under the reign of at that time Dutch King William I. The construction was done with a lot of problems and different architects were assigned to finish the massive construction. With the independence of Belgium in 1830, the first King of Belgium, Leopold I toke over the palace and had some adjustments made. In 1904, other adjustments were made under Leopold II, this time in Louis XVI style. The wings are dating back to the 18th century and are flanked at the end by two pavilions. 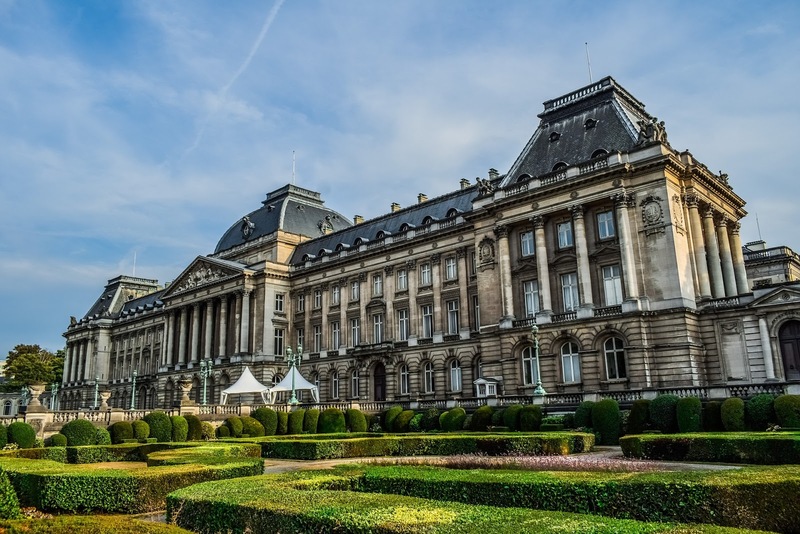 As an example, the Royal Palace of Brussels is alot bigger than Buckingham Palace in London., it has 21 big halls, all dedicated to a certain theme. There are also a lot of other smaller rooms divided over the 4 floors. During state visits, this palace is made available to the visiting heads of state to spend the night there. Ambassadors are also welcomed here, New Year receptions are held, wedding banquets are organized and after his death, the monarch is laid out in the Salon of the Thinker. When the monarch is in the country, the Belgian flag is hoisted on the middle pavilion. If he is present in the palace, the guard of honor is at the front. The Royal Palace, is not the place where the King and his family live. He has, among others, another Palace situated in the north of Brussels, in Laeken. However, all Palaces and grounds are owed by the Belgian state and not by the Royal family itself. You can find the Royal palace at this address: Brederodestraat 16, Brussels. Once a year the palace is open to the public.